David is new to our rescue and settling into his foster home, where he is reported to be happy, well behaved and sociable. He is around 18 months of age. 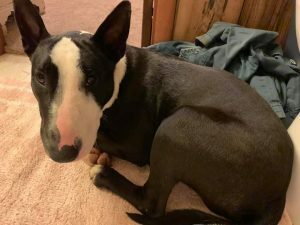 If you are interested in making David a part of your family please visit our website – www.texasbullterrier.org – click on the Rescue tab and fill out the adoption application!